Blurb: Prince Aleksander, would-be heir to the Austro-Hungarian throne, is on the run. His own people have turned on him. His title is worthless. All he has is a battletorn war machine and a loyal crew of men. 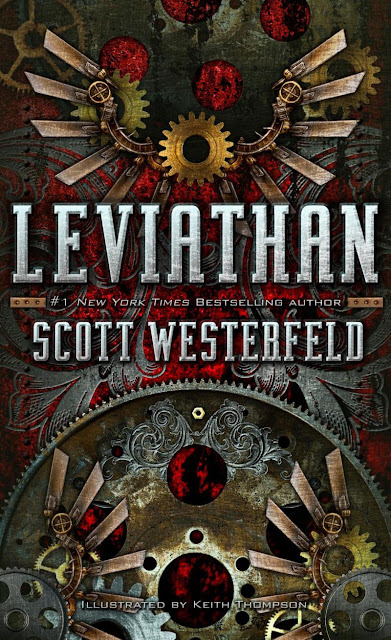 Thoughts: I've always been a fan of clunky machines and interesting animals, so Leviathan was right up my ally. The whole concept of this book intrigued me. I've never read a book like this one before. I loved how this book was written from two different points of view. It was cool how you could see the differences in the way Alek and Deryn saw the world. There was nothing similar about these characters, yet together they told the story perfectly. Out of all of history, the time periods I've studied the most are the World Wars. I was excited to find out that this book was based on World War 1. It's interesting to see what would have happened it Beasties and Clanker machines existed. Have you read Leviathan? What did you think of it? Do you have my suggestions as to what I should read next? I'm the same! I've a massive reading list and for every book I read, two more are added.